Concert hall platforms require very careful acoustic design. A well-designed concert hall will provide good acoustic reflections so that musicians can hear each other clearly, while maintaining orchestral balance and providing early reflections to the players and audience. Increasingly, however, concerts are given in theatres, opera houses, multi-purpose halls, churches or even out of doors. In these cases the experience for both players and audiences suffers and in many cases the first orchestral concert is also the last. 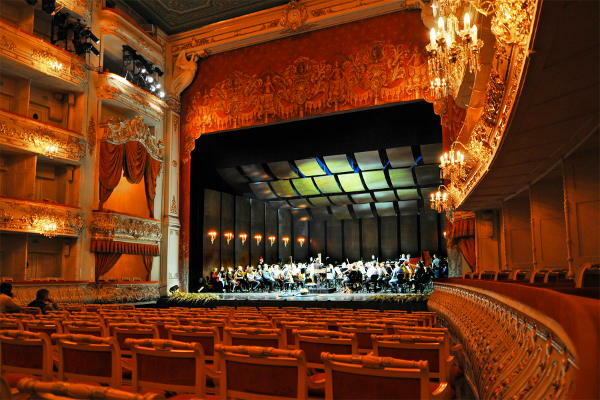 The acoustic environment can be greatly improved by a well-designed orchestra shell. Many “off the shelf” systems are expensive, unattractive, heavy and time-consuming to erect and dismantle. Drawing on our in-house experience in acoustic design and theatre consultancy, we can develop practical, cost-effective and acoustically optimised bespoke systems which can be set up, dismantled and stacked in a few hours. Stacking tower designs, such as those we have designed for the Juras Varti theatre in Latvia and the Mikhailovsky Theatre in St Petersburg, provide great stability and rigidity with minimum weight. This makes it possible to set up and dismantle the shell in a few hours, so that set-up, rehearsal, concert and dismantling can all take place in a single day. 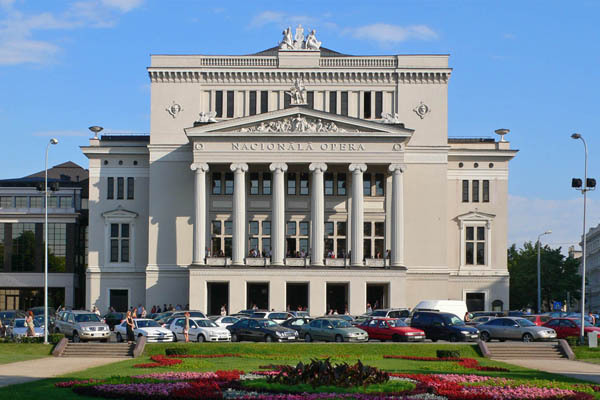 We have also designed lightweight stacking systems, as used at the Latvian National Opera in Riga, where storage space is extremely limited. An orchestra shell is the first step for any multi-purpose venue seeking to programme concerts. We have considerable experience in the design and commissioning of temporary and semi-permanent orchestra shells. No two auditoria are identical and we design every system to complement the venue’s acoustics and stage layout.